This course is fully approved for architect continuing education by the AIA continuing education system. This document illustrates the design and construction of building utility systems for structures located in flood-prone areas in compliance with NFIP floodplain management requirements. 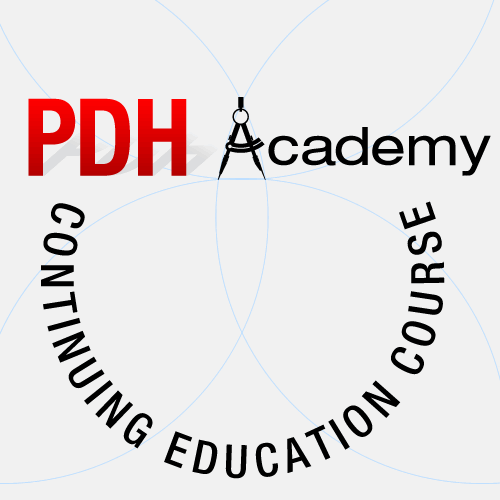 AIA has approved this course for 6.5 architect continuing education hours that are classified as HSW learning units. This course is approved by the American Institute of Architects for architect continuing education. Despite the concentrated efforts of government and the private sector to mitigate flood hazards, many problems still remain with design and construction of building utilities. In an average year, floodplains cause over $3 billion in property damage. A large proportion of flood damage is incurred by components of building systems such as furnaces, boilers, fuel system components, septic systems and electrical equipment. This results in substantial economic losses, hazardous substances released into flood waters, electrical shock hazards, among other problems. This document illustrates the design and construction of building utility systems for structures located in flood-prone areas in compliance with NFIP floodplain management requirements. The AIA has approved this course for 6.5 continuing education hours that are classified as HSW (health safety welfare) learning units. Learning Objective 1: Upon completion of this course, the student will have a better understanding of the many hazards to building utility systems that exist in flood plains. Learning Objective 2: The student will be aware that designing for one hazard can negatively impact a building utility systems ability to withstand damage from other hazards. Learning Objective 3: The student will understand how to prioritize the various risks from flood hazards with regards to the overall impact to the building and the project budget. Learning Objective 4: The student will know how to utilize currently recommended principles and best practices to design and construct flood resistant building utility systems.